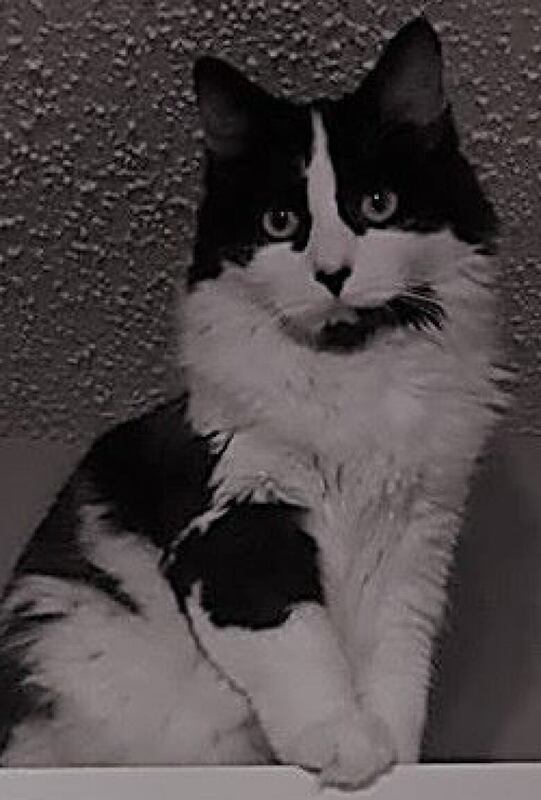 A couple, who recently moved from Saskatchewan to Kitchener, Ont., have been reunited with their lost pet and are thanking the "amazing people of Ignace" who dedicated their time and effort, for the past three and a half months, to help find their cat, Oreo. 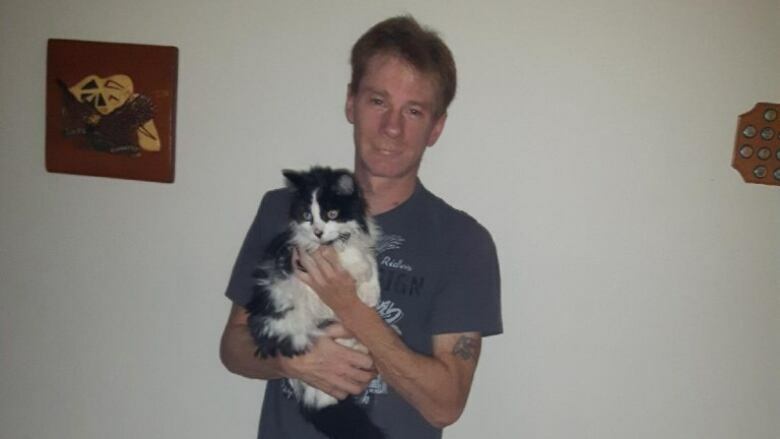 Douglas Burt lost his cat, Oreo, on July 21 in Ignace, Ont. Douglas Burt and his girlfriend, Juanita Collins, said they were driving from Saskatchewan to the southeastern Ontario city this summer when they stopped in Ignace to spend the night. "July 20th was the date we lost her," Burt told CBC News. "By the time I got there, I think, it was about two o'clock in the morning [and] I was so tired and not thinking. I brought Oreo into the room, put her down on the floor and then went and opened up the door [and] boom, she was out like a bat out of hell." He said they stayed up for a few hours that night hoping she would return as they were worried about her being out during the night in the rain. As time went on, the family cat was no where to be seen and the couple had to continue their trek to Kitchener. That's when they reached out to Heather Norhaugen, a volunteer with the Northern Critters in Need, an animal shelter in Ignace that helps lost, abandoned, abused and unwanted pets find a new home. "Basically they asked for help [and] we are animal lovers and we couldn't turn them down [because] they were in such a sad state about the cat," Norhaugen said. She said they borrowed a live trap and set it up "in a neighbours yard, nearby, where she had gone missing," and checked the trap "three and four times, daily, trying to catch the cat." Days turned into weeks and Oreo had not been seen in for a month, Norhaugen said. She stopped trapping when the weather started to get cold and "the blankets covering the trap started to freeze up" as she was worried that Oreo would "freeze to death in the trap." "I kinda thought she was dead," Norhaugen added, "I thought maybe a coyote got her, we also have the odd wolves that travels through town, we've got hawks and eagles that are all very hungry. We figured for sure she was dead." 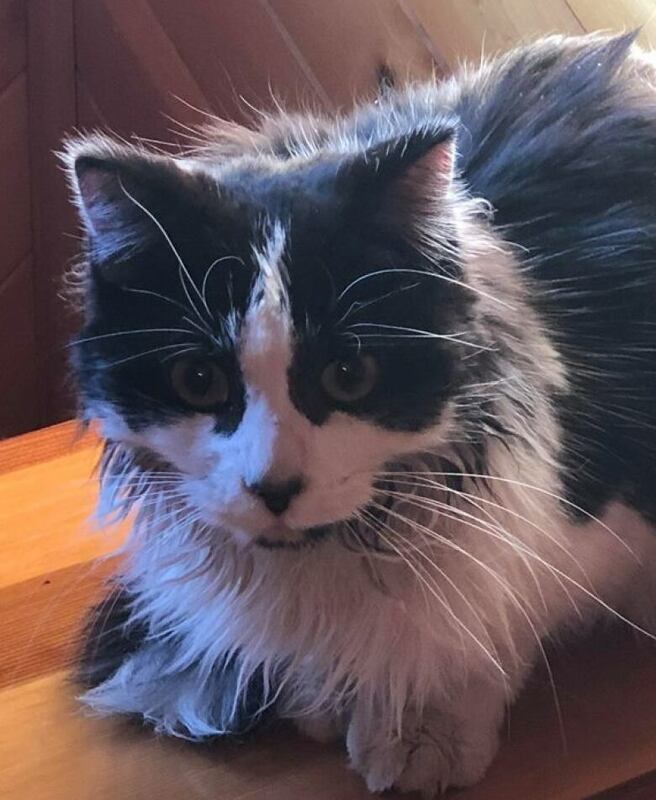 More than three months had gone by since Burt and his girlfriend last saw Oreo and sightings on social media started to dwindle as well when a resident in Ignace spotted a black cat on Saturday. "Me and my Dad were driving around ... and then there was like a fork on the road ... he went left and it let us to around Humphrey Road and as we were going behind there, he saw a black and white cat run from one of the buildings," Nicole Etherington explained. After arranging to borrow the live trap from Norhaugen, she said she made a post on social media asking for someone to help her pick it up. That's when Geri Vander-Vegte replied and stepped up to help. "We went to the rescue group, me and Nicole, and asked for the live trap," said Geri Vander-Vegte, adding that they were advised to not use the live trap during this time of year. Worried about Oreo's health, Vander-Vegte said she set up the trap at the Trading Post Motel, where the couple had originally lost Oreo, at 4 p.m. on Sunday and went back "every couple of hours" until midnight to check. She immediately called Norhaugen who then took photos of Oreo to send to Doug and Juanita to confirm if the cat they found was indeed, Oreo. Doug said he received a call at 5 a.m. from Norhaugen and when he saw the photos, he recognized his cat. "We got her when she was three months old and I don't have any kids myself, so she's like a kid to me," Burt said, "and when I lost her, I couldn't eat for four days." When he received the call at 5 a.m. on Monday morning, he was in "disbelief" that he would be reunited with Oreo after over three months. Norhaugen said another community member offered to take Oreo to Thunder Bay, then to Wawa and then to Sudbury where she was picked up by her parents. "Last night she was laying on my girlfriend's stomach like she always does ... and she's getting back to her old tricks and everything," Burt said. He said they will be planning a trip to Ignace next summer with Oreo to meet everyone that helped and thank them in person. "There's such thing as miracles."